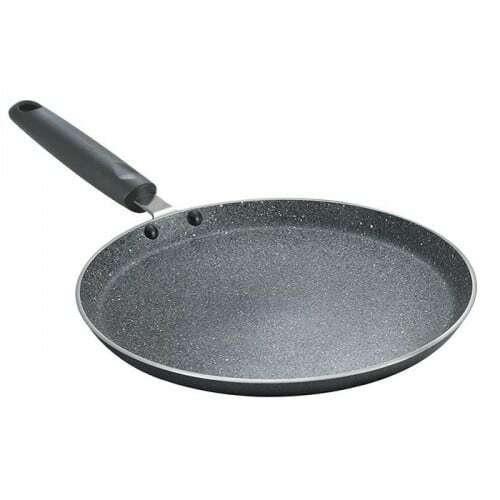 This flat tava pan is perfect for making chapatis at home. Non stick, marble coated and compatible with gas, electric and induction stove tops. Dishwasher safe.